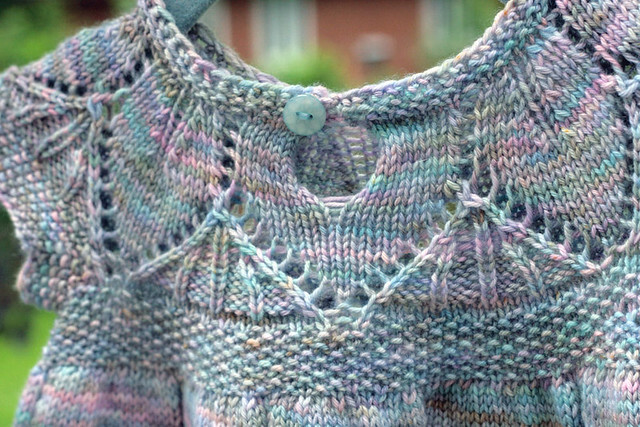 Totally Awesome Because: Fa-Linn chose such a great colourway. Sand is the perfect light grey, neutral enough to go with just about anything you want to wear with it. 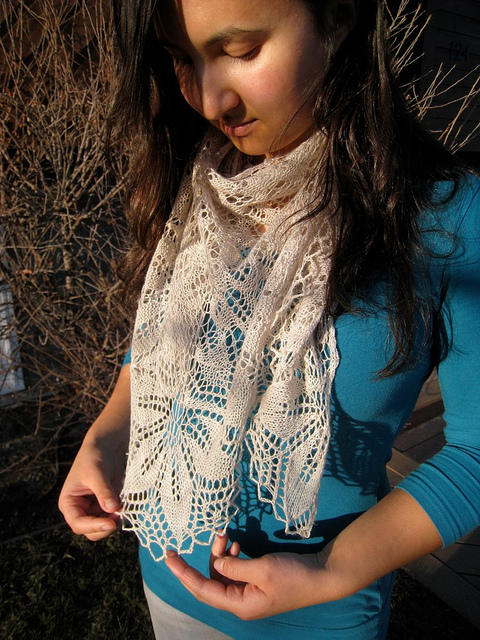 The laceweight yarn has incredible yardage (1000 yards! 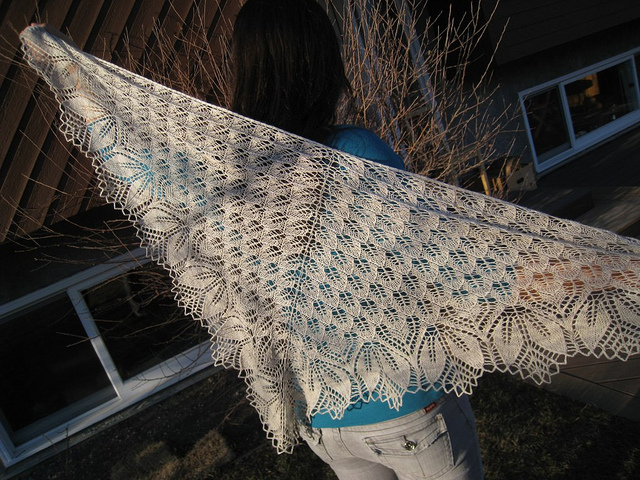 ), which is perfect for making a nice large shawl or adding in extra repeats, like Fa-Linn did. Such a beautiful finished result! Her project page can be found here. 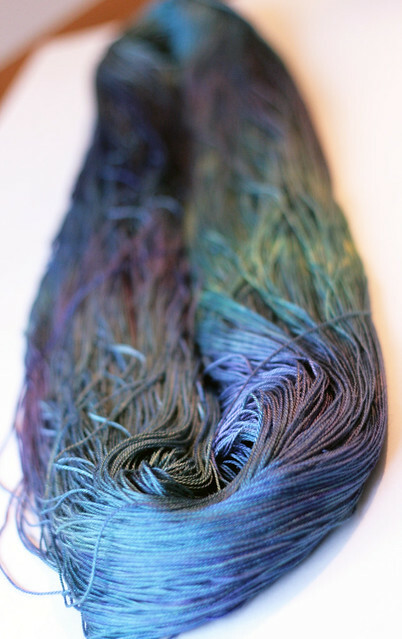 Spent a bit of time on Saturday experimenting with a new method of dyeing. The results are sometimes unexpected but always exciting! 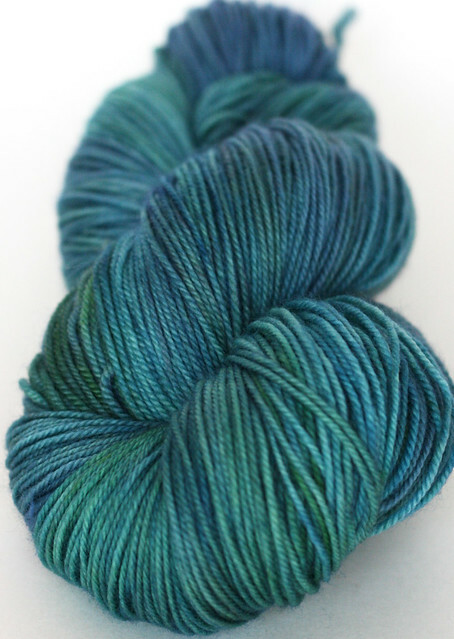 I've listed a few skeins in the One of a Kind Etsy shop. 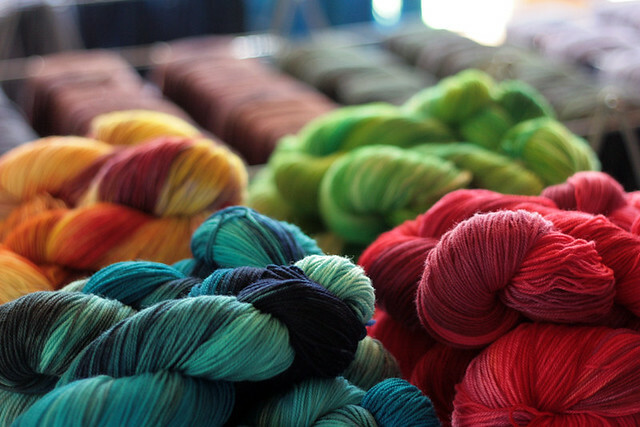 Here's a pretty yarn shot to get you through the weekend. This is a One of A Kind colourway that I dyed for my mom. 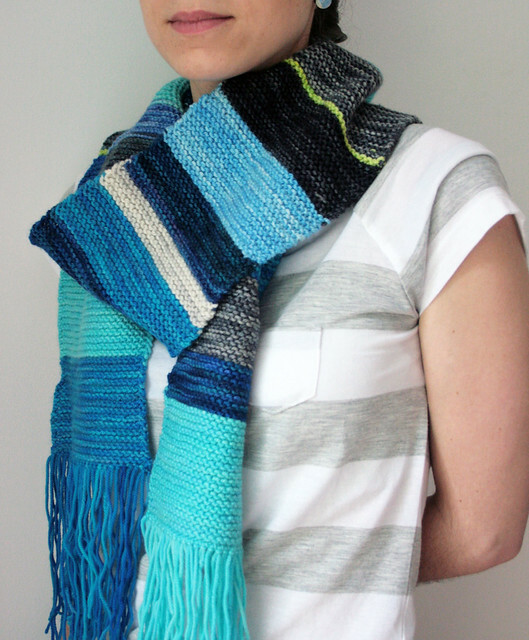 She has plans to spend the summer turning it into a beautiful stole. My second crocheted blanket is finished. 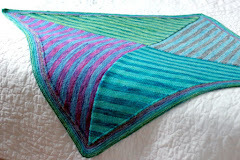 See my first blanket here. This time I decided to be reasonable and make a small baby blanket. This was a really quick project, from start to finish it only took about 3 weeks of casual crocheting. Ravelry project page here. 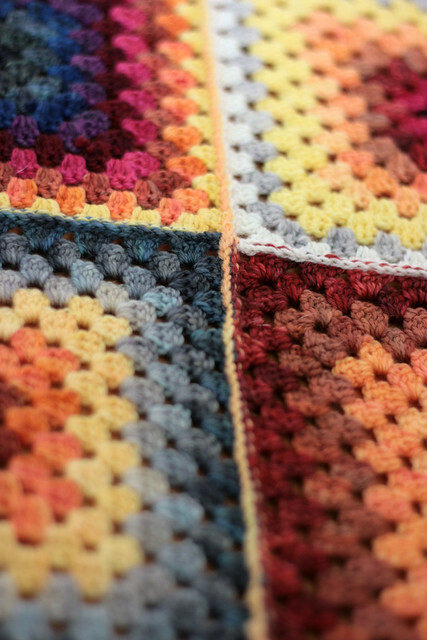 This blanket is made up of 12 simple, classic granny squares. 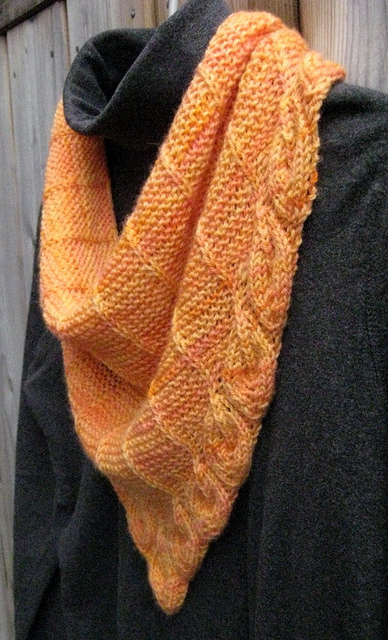 I used TFA Yellow Label yarn in warm shades of oranges, reds and yellows, with pops of grey and purple in there as well. It reminds me of my reds Dipped Infinity Scarf kit colourway. 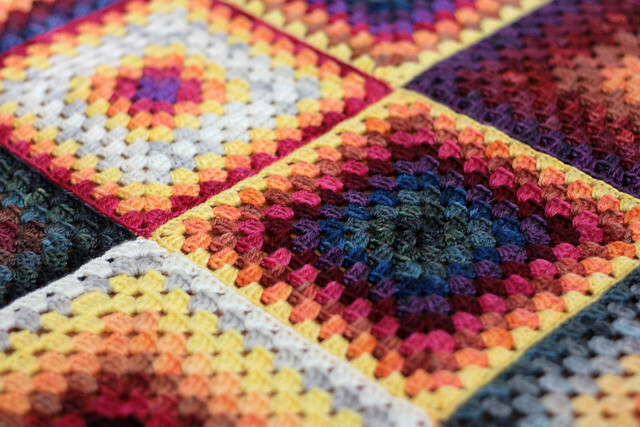 The finished blanket measures about 24" x 32". Not huge, just the right size to carry around and maybe use in a stroller or something. 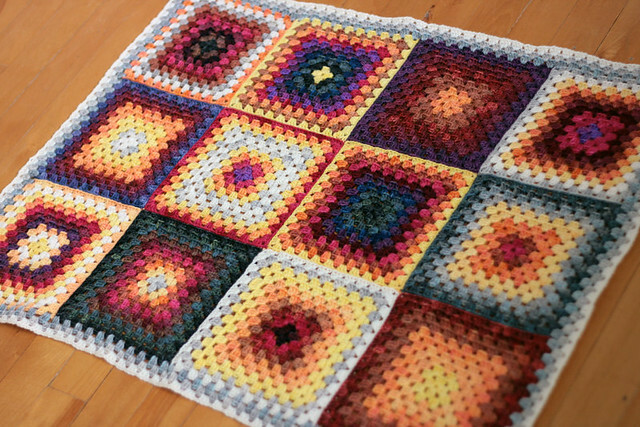 This time I opted to sew the squares together rather than crochet them together as I went. The photo above is of the super neat seam on the backside of the blanket. 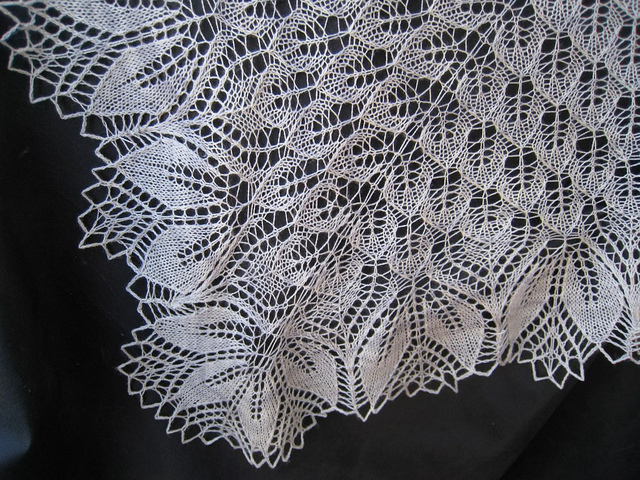 I love it, this must be crochets version of mattress stitch, so crisp and clean on the right side and on the wrong side. I used this tutorial on how to sew my squares together. I think that I prefer this method of joining. If I had a million little squares to join I can see it getting extremely tedious, but with just 12 squares and my fondness for sewing it was no problem at all. I'm going to take a break from crochet for a bit. 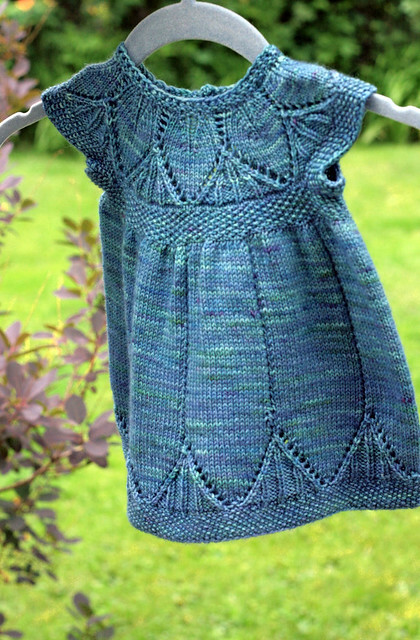 I'd like to try a crocheted baby sweater, something a little different, a new challenge for me, but I have yet to find a pattern that I like... knitted baby sweaters are just so cute and any of the crochet patterns I've found seem very boxy. Any suggestions? 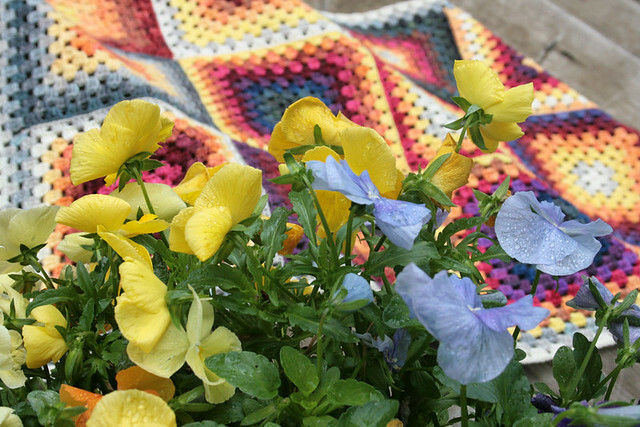 I'm also very fond of the African Flower Hexagon pattern I've been spotting on Pinterest and Ravelry lately, maybe my next crochet project will be an African Flower pillow. Like lots of my baby projects, this blanket doesn't have a recipient in mind just yet. For now it's just sitting on the back of a chair, looking pretty and waiting for someone to announce that they are pregnant and need a blanket. Until then, it's ready and waiting. Family portraits, a new tradition. 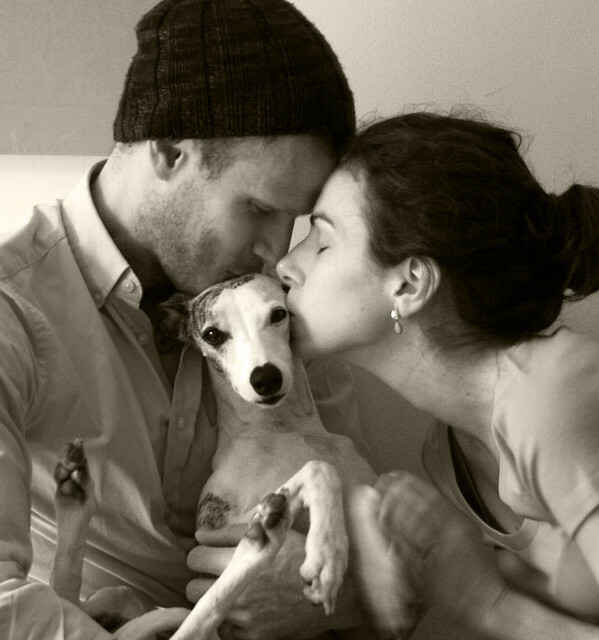 Although we did manage to spend most of Sunday, June 12th (our 1 year wedding anniversary) as planned, we did take a little bit of time to set up the camera on a stack of books on the dining room table and do our best to wrangle Stella for a family portrait. We've decided to make it a tradition to take some sort of family portrait every year on June 12th. My hope is that in 25 years from now we'll have an awesome album with 25 years worth of photo's of our family, one shot for each year. Right now that album is still pretty empty, but as the years pass and our family grows I think it'll be pretty cool. Don't worry, it won't be all anniversary blogging around here forever! 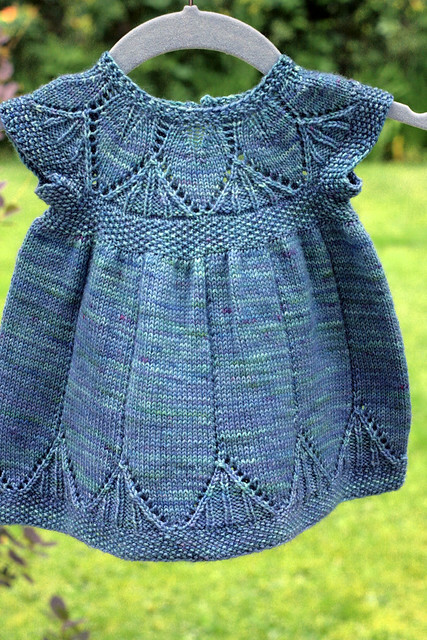 I've got a new FO and a WIP to share soon! 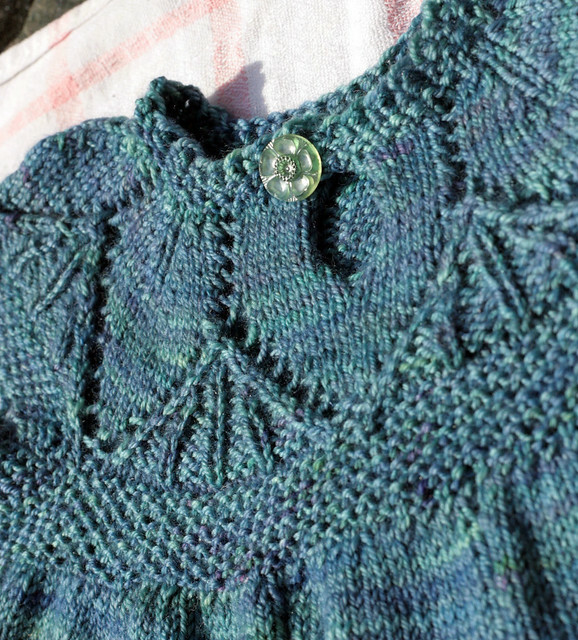 Viki recently knitted up this beautiful Sunnyside baby cardigan for a friend's baby. 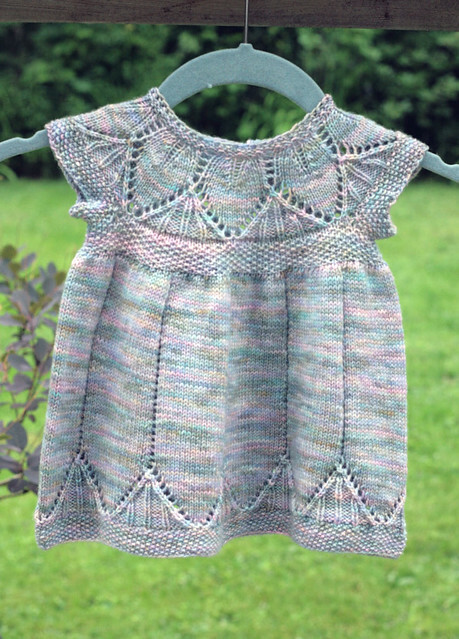 It's a perfect mash up of elements from both the boy and girl variations of the pattern- She used the lacy cable design from the girl's version, and the clean garter edging of the boy version. 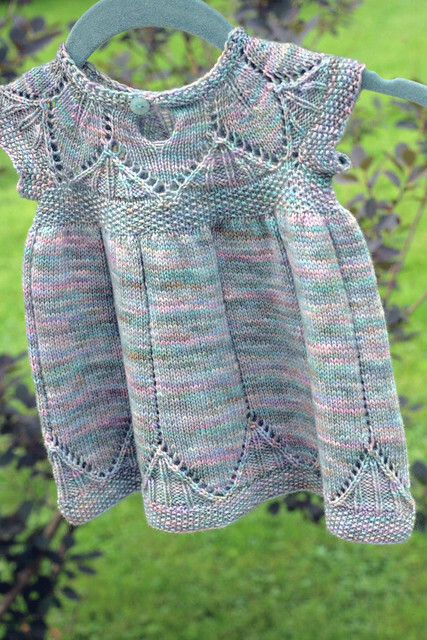 The colourway is Frost, a special colourway that was done up for the Tanis Fiber Arts Year in Colour Club.The finished sweater is such a beautiful cardigan, and I love how she took the aspects she liked the best and made it so personalized. It's beautiful! Chris and I have been married for exactly one year. And what a wonderful year it has been! We went out for an amazing anniversary dinner last week and have decided to spend today doing absolutely nothing. It will make for a very nice change of pace. 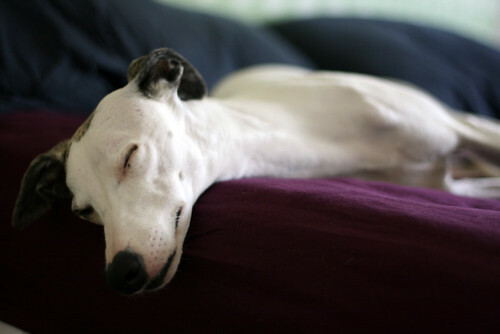 Stella's got the right idea. I haven't been adding one of a kind batches of yarn to the Etsy shop as often as I would like to and there are two reasons for that. First, TFA is pretty busy dyeing our regular colourways and don't often take days off in the middle of a busy week to dye one of a kind's. And the second reason? Well, I think I might be a bit of a hoarder when it comes to my special one of a kind skeins. Since I don't have a recipe for them, and I know that I'll never be able to reproduce them exactly the same way, I am very hesitant to give them up. 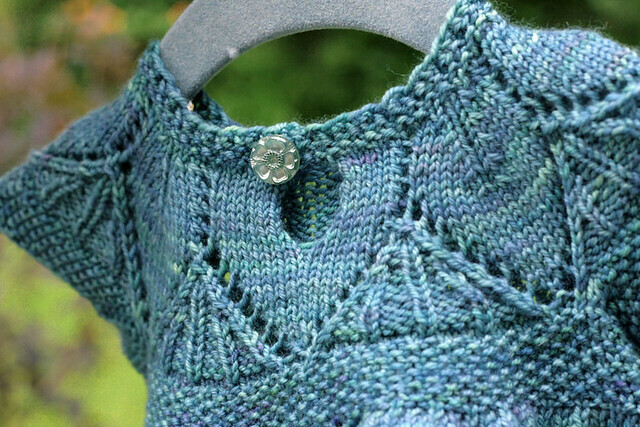 I've been holding on to that batch of 9 skeins of DK for way too long now, I think it would make a perfect casual, comfy cardigan to wear with jeans. 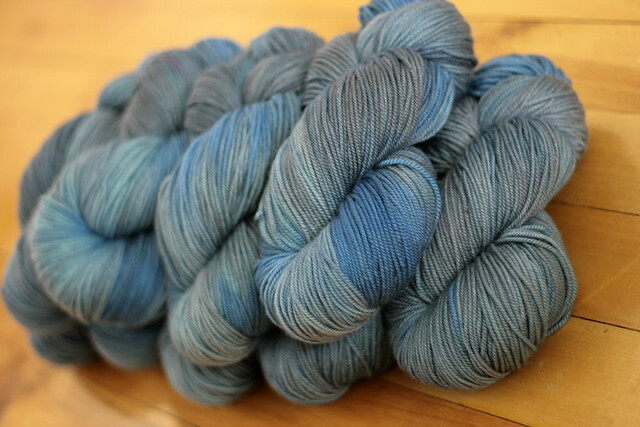 But alas, it's better for everyone if I force myself to unload my special skeins every once in a while. Lots going on over here at TFA. 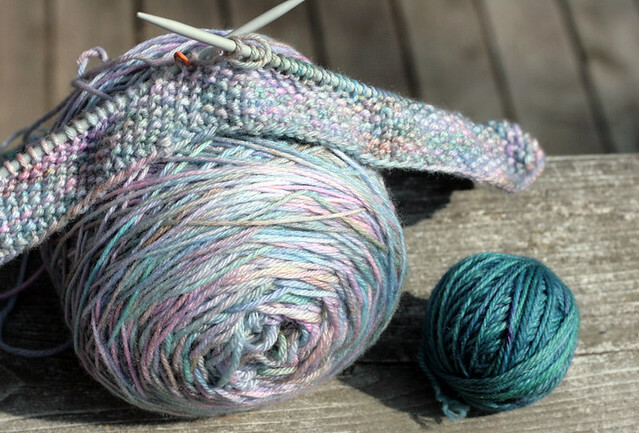 I have several projects on my needles and tons of ideas in my head. I realized today that there was lots that I haven't blogged about yet, so I'm going to fix that by bringing you up to speed on what I've been working on. 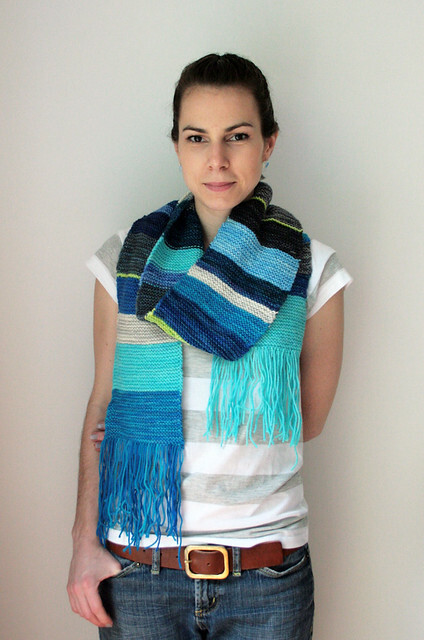 I started knitting this just the other day. Chris and I were asked to babysit a friends 4 month old baby girl this Thursday (I'm really looking forward to it, she's a real cutie!) 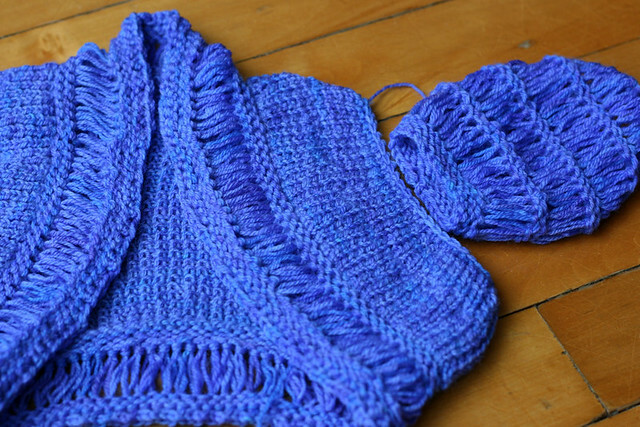 and because I can't see a baby without wanting to have some sort of handknit nearby, I cast on for this neat little shrug. 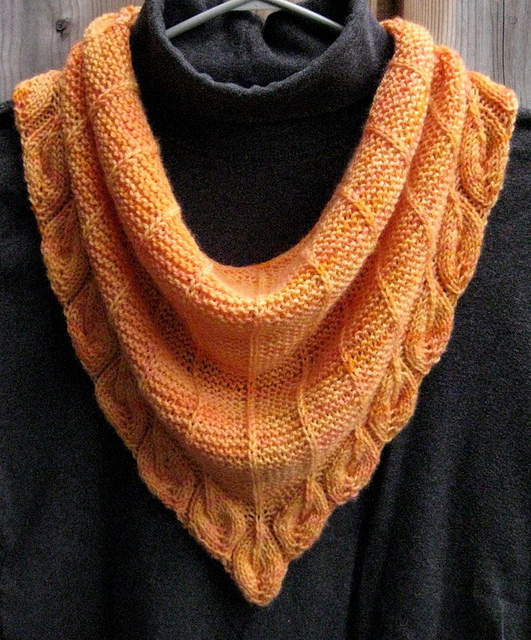 I figured it would be a quick knit and I'd be done in no time. The construction is really interesting, it's fun to make. But the truth is, I think it's kind of funny looking. It's all those loose, loopy stitches, I think it's just not really my style. I also got completely stuck on the sleeve. 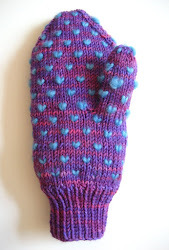 I made one last night and did it totally wrong, after reading here on Ravelry the correct way to do it I'm going to attempt to re-knit it, there's no way the weirdo sleeve that I knit is going to fit into that sleeve opening. I think I'll still try and finish it, but I'm feeling kinda 'meh' about the whole thing at this point. The yarn I'm using is a very old skein of TFA Blue Label in some unknown colourway, I think it was a trial version of Ultraviolet, it reminds me of my beloved hydrangea. 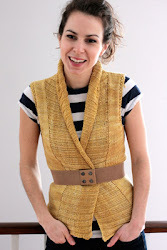 Next up is a summer cardigan I've been working on for some time now. I've been referring to it as my Ombré cardi. 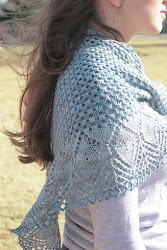 I'm knitting it with two strands of Pink Label Lace weight yarn held together in Cobalt and Midnight. I've sort of stalled on this project just because I'm at the point where I need to make a decision about the hem and I haven't felt like thinking/doing math. 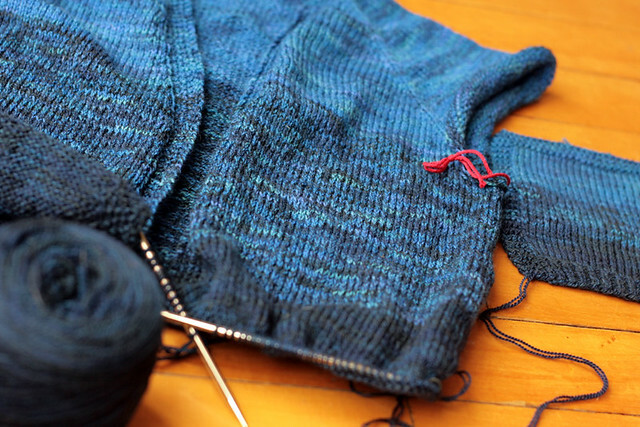 But I'm feeling jazzed about having this cardigan done and actually wearing it, so I think I'm going to buckle down and try to make that happen sooner than later. 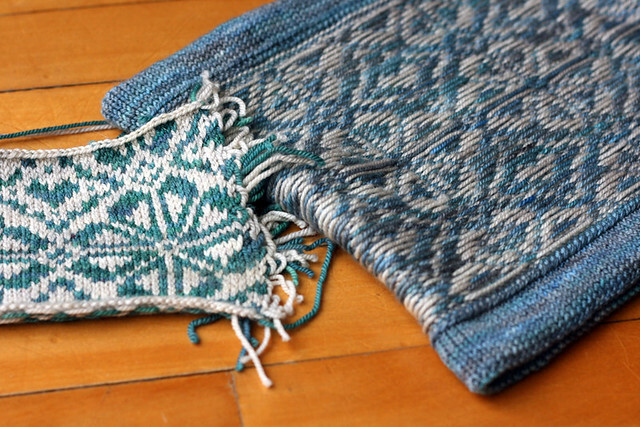 Last on the list for today is a colourwork project I started last week. This project is working out really well. 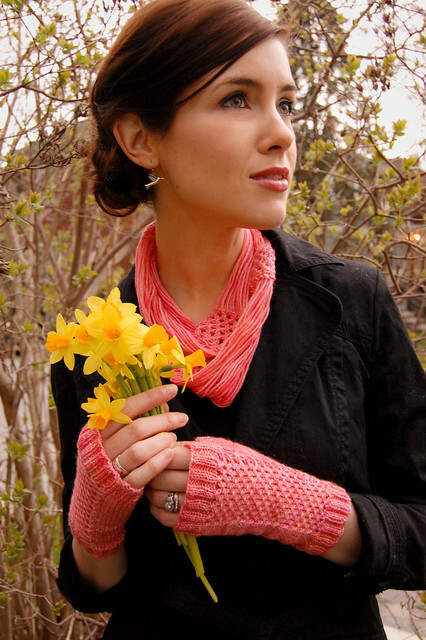 I love the flowers and hearts, I love the scale, the neat turned under hem on the inside out cowl pictured above. 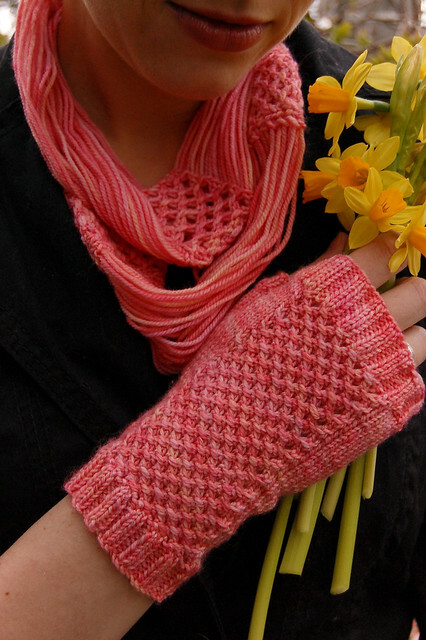 I've got tons of yarn left over, so I'm thinking about some fingerless gloves to match. The May installment of the TFA Year in Colour Club was an exciting one! Julie designed not one, but two fabulous patterns that can both be knit with one skein of the cheery, Pink Grapefruit colourway. I love that she went outside the box and designed a set of accessories. When working with the designers for the Club, I give absolutely no guidelines, I just give them a skein of yarn and leave the rest completely up to them to design whatever their heart desires! 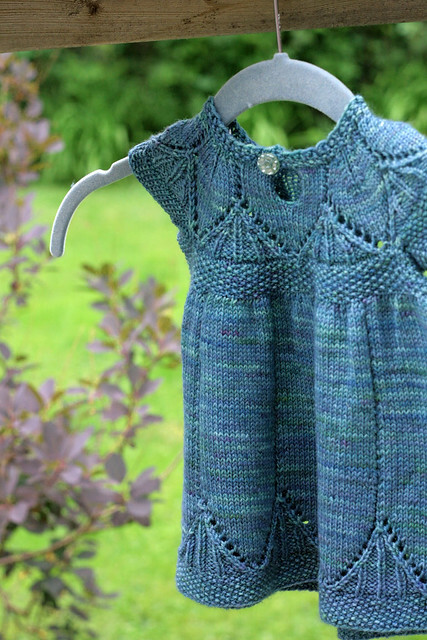 It has been so fun to see all the creative uses for one little skein. Another super cool thing Julie did was make a video to clearly show how to do the bind off and unravelling of the stitches for the cowl. 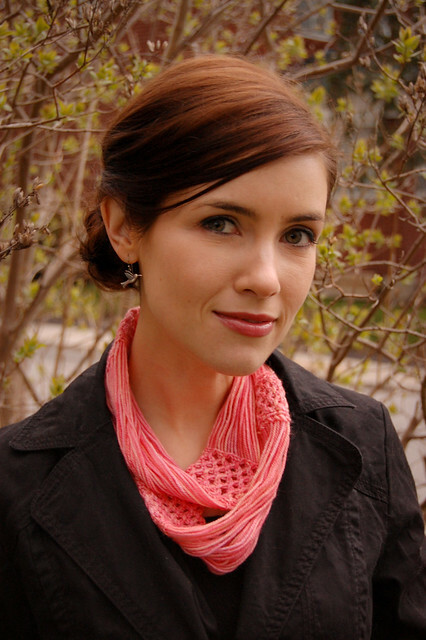 Isn't it neat to see one of your favorite bloggers actually knitting? Club memberships are still available, new members will receive the January, March and May shipments all together. Thanks to the Random Number Generator two winners have been chosen. They are Vashte and Wendy! Congrats you two, and a huge thank you to everyone who stopped by the blog and entered the giveaway. I particularly enjoyed reading everyones Ravelry names. There are so many great, creative names out there! 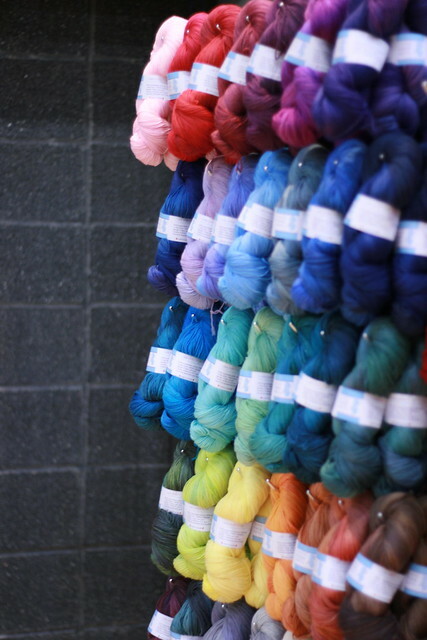 A random, pretty, colourful yarn photo. :) Can't have a photo-less blog post! Lots of people left comments about how generous I am to do giveaways like this, but I just have to say that it's completely my pleasure to be able to share just a little bit of my fiber joy with all of you. 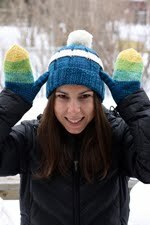 You guys are what make it possible for me to spend my days surrounded by yarn and colour, a giveaway from time to time to show my appreciation is the least I could do. Thank you! After completing my first big crochet project (the Flowers in the Snow afghan) I clearly had not gotten the urge to crochet out of my system. 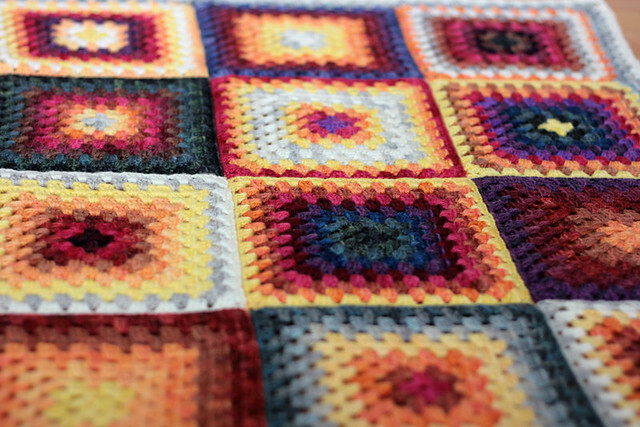 I put down the finished blanket and picked up a new colour to start another square. 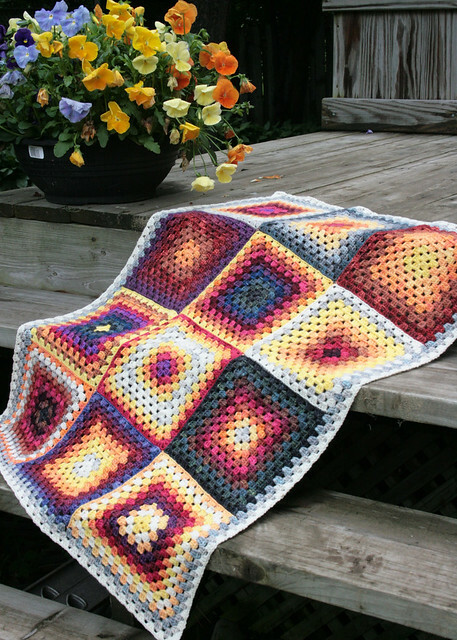 Years ago I spotted this version of the Babette blanket on Flickr, and the colour palette has been on my mind ever since. 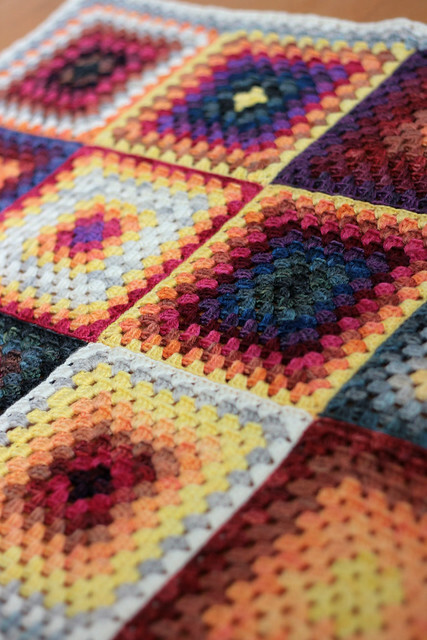 The warm reds, oranges and yellows are so bright, so fun and so 70's! 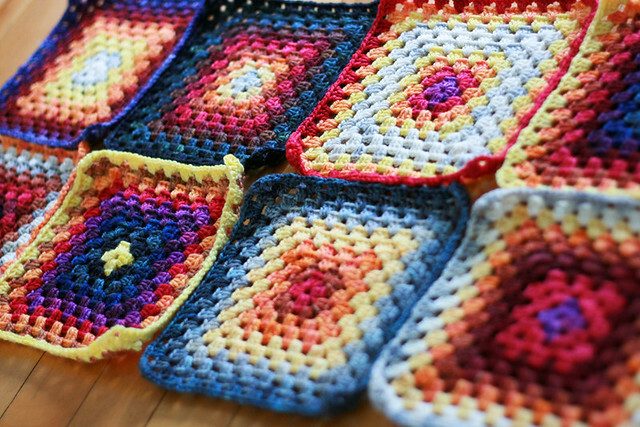 Since I still had some more crochet juice in me, and no real plan for what I wanted to make, I just started making good ol' granny squares inspired by this fun 70's colour palette. Of course, I couldn't reign in my urge to make rainbows and ended up with some extra purples and dark grey-blues in the mix. 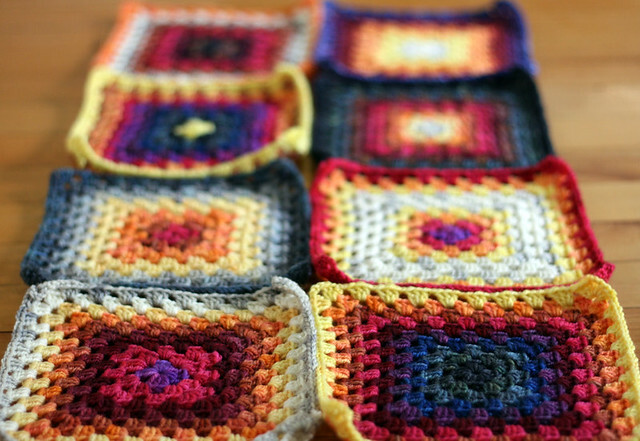 I'm thinking of keeping this project on the smaller side and making a baby blanket with these squares. *** Don't forget to check Monday's post and leave a comment (with your contact info!) to win one of two fabulous prizes if you haven't already!